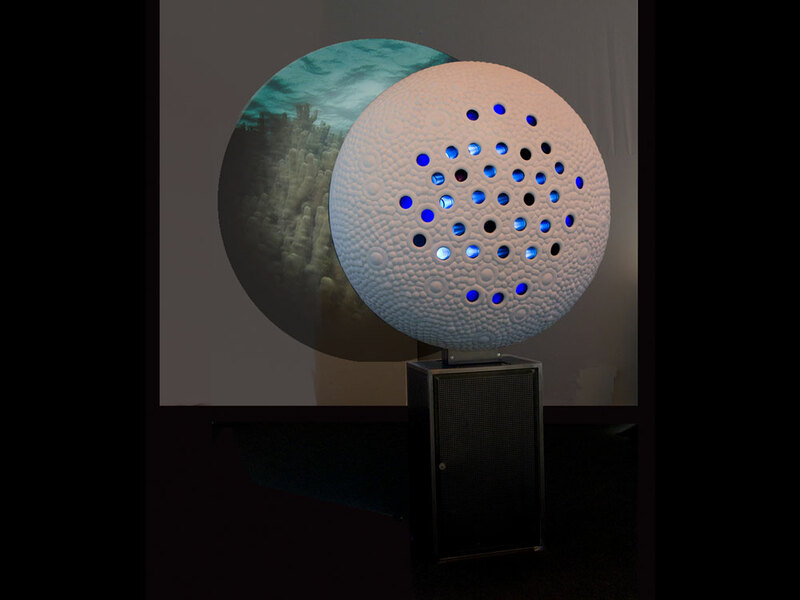 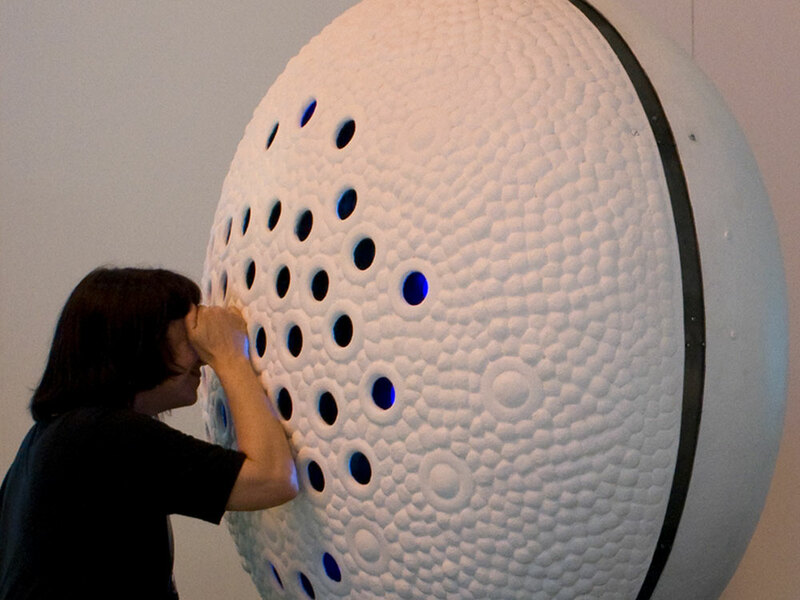 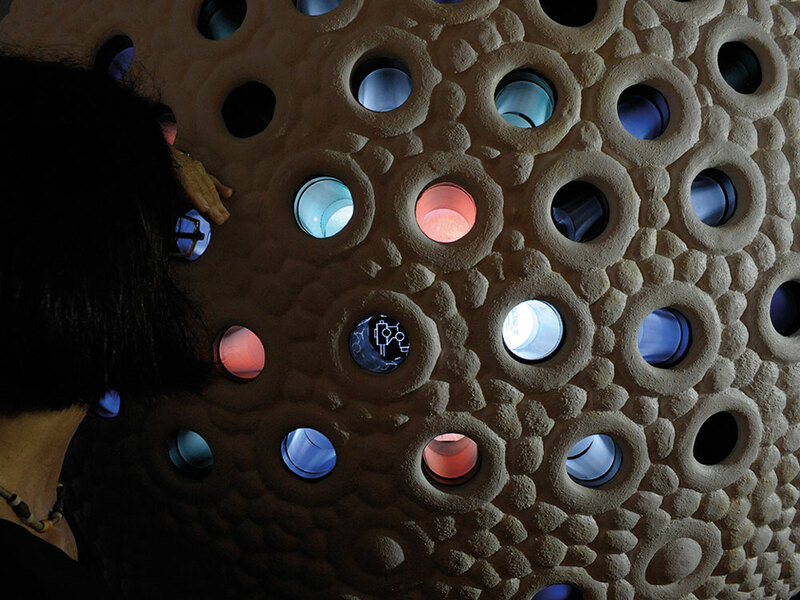 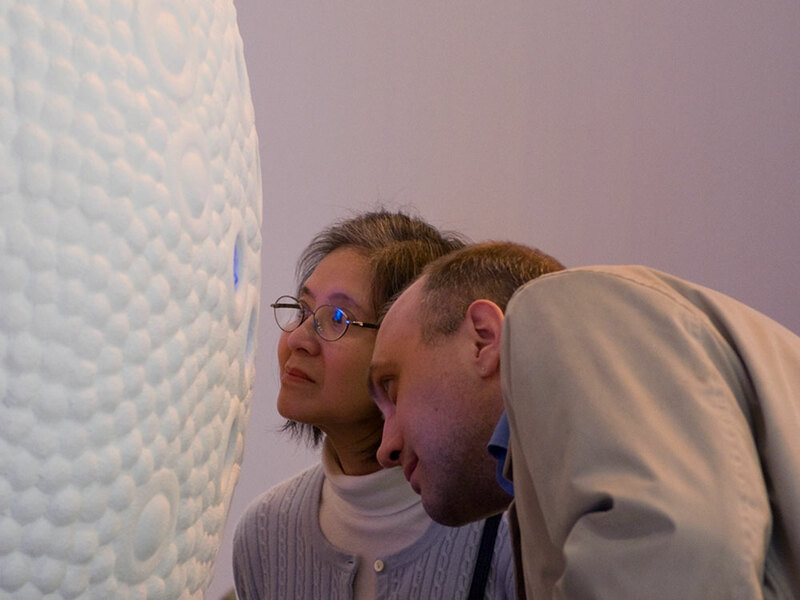 The Electric Retina combines retinal research about visual perception with interactive sculpture. 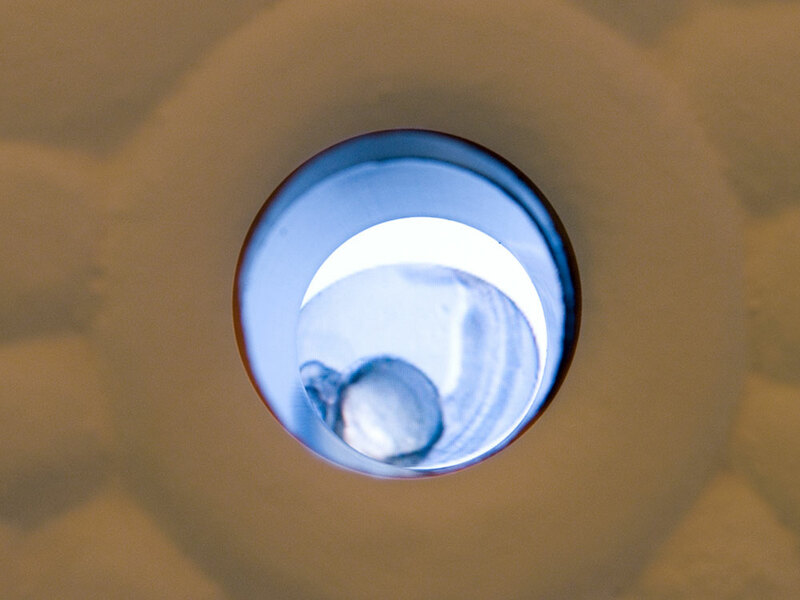 It was developed in collaboration with Neurobiologists at the University of Zurich, where research is conducted into the genetic control of visual system development and function by analysis of zebra fish mutants and their comparisons to human retinal disease. 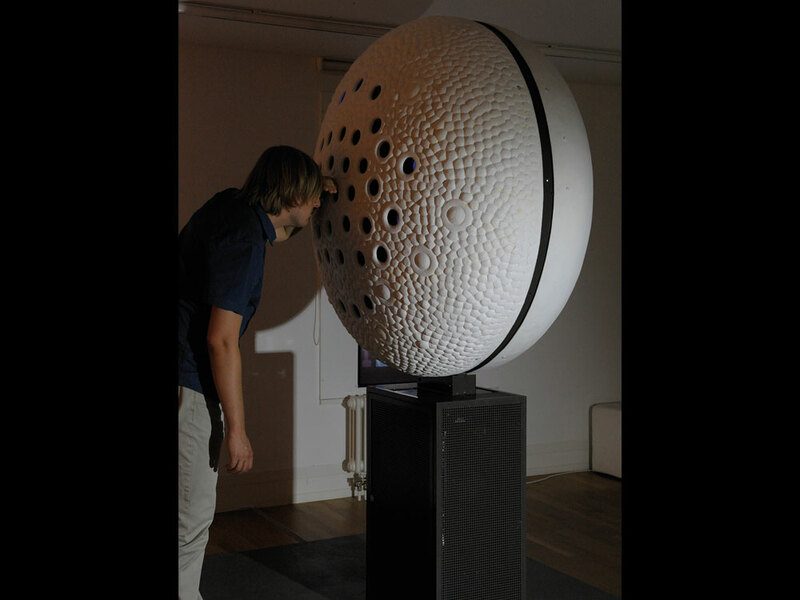 The surface of the sculpture is modelled on photoreceptor pattern arrays from the SEM microscope. 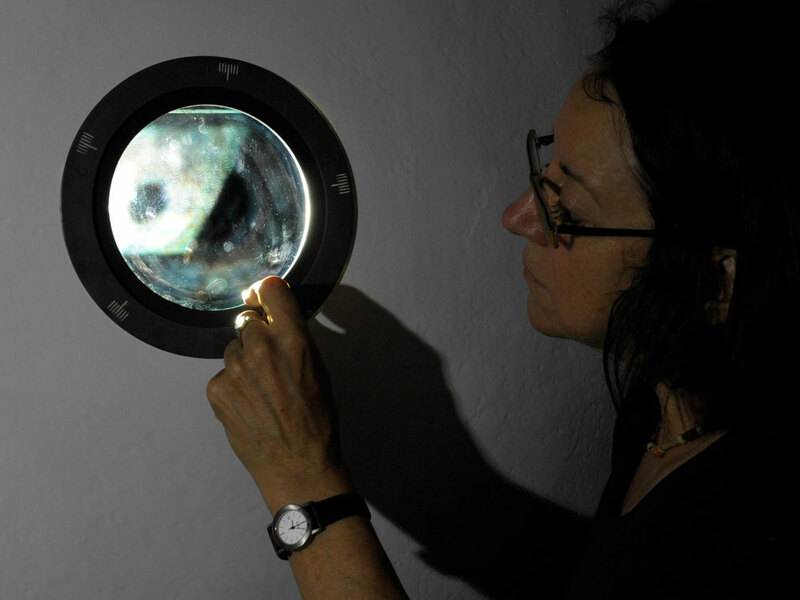 Through oculars in the cones, the viewers can see movie-loops from cellular research and though projected films on the wall they can gain a better understanding about how the relationship between our visual perception and behaviour could be affected by genetics, disease and degeneration. 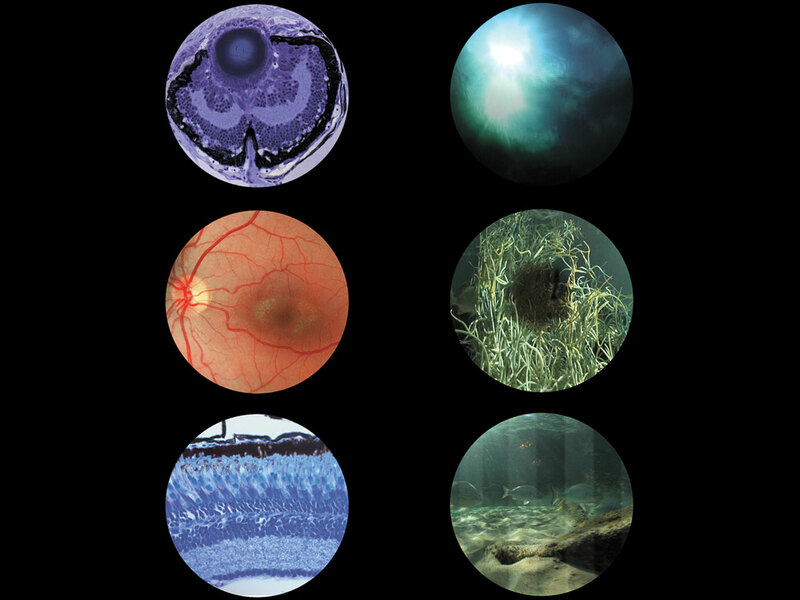 THE ELECTRIC RETINA - art and visual perception from Jillian Scott.